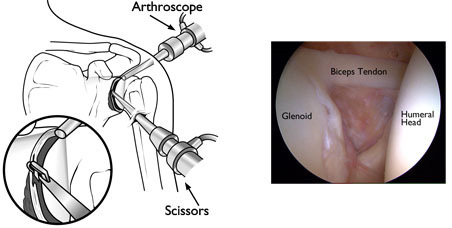 During shoulder arthroscopy, Dr van den Berg inserts a small camera, called an arthroscope, into your shoulder joint. The camera displays pictures on a television screen, and your surgeon uses these images to guide miniature surgical instruments. Because the arthroscope and surgical instruments are thin, your surgeon can use very small incisions rather than the larger incision needed for standard, open surgery. This results in less pain for patients, and shortens the time it takes to recover and return to activities. 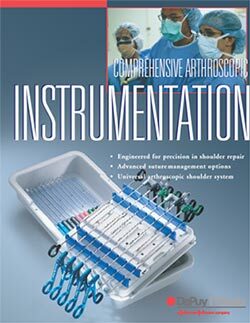 Improvements to shoulder arthroscopy occur every year as new instruments and techniques are developed. When would you need a shoulder arthroscopy? Shoulder arthroscopy is recommended if you have a painful condition that does not respond to nonsurgical treatment (includes rest, physical therapy, and medications or injections that can reduce inflammation). Inflammation is one of your body's normal reactions to injury or disease. In an injured or diseased shoulder joint, inflammation causes swelling, pain, and stiffness. Some surgical procedures, such as shoulder replacement, still require open surgery with more extensive incisions. Dr. van den Berg may ask you to see your General Practitioner or Specialist Physician to make sure that you do not have any medical problems that need to be addressed before your surgery. Blood tests, an electrocardiogram, or chest x-ray may be needed to safely perform your surgery. If you have certain health risks, a more extensive evaluation may be necessary before your surgery. Be sure to inform your orthopaedic surgeon of any medications, blood thinners or supplements that you take. You may need to stop taking some of these prior to surgery. Make sure to follow the instructions on when to arrive and especially on when to stop eating or drinking prior to your surgery. Before the operation, the anaesthetist will talk with you about anaesthesia options. Shoulder arthroscopy is most commonly performed using regional nerve blocks which numb your shoulder and arm. This numbing medicine is injected in the base of your neck or high on your shoulder. This is where the nerves that control feeling in your shoulder and arm are located. In addition to its use as an anaesthetic during surgery, a nerve block will help control pain for a few hours after the surgery is completed. 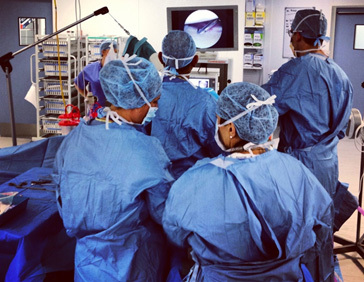 We combine nerve blocks with a light general anaesthetic because patients can become uncomfortable staying in one position for the length of time needed to complete the surgery. Most arthroscopic procedures take between 1 – 2 hours, however, the length of your surgery will depend on what your surgeon finds and what repairs are required. 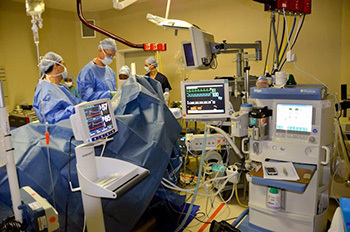 Once in the operating room, you will be positioned in the “Beach chair position”. This is a semi-seated position similar to sitting in a reclining chair. Once you are positioned, the surgical team will spread an antiseptic solution over your shoulder to clean the skin. 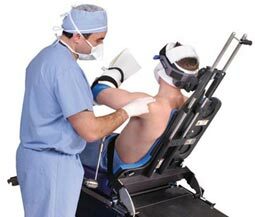 They will cover your shoulder and arm with sterile drapes, and will most likely place your forearm in a holding device to ensure your arm stays still. Once the problem is identified, your surgeon will insert other small instruments through separate incisions to repair it. Specialized instruments are used for tasks like shaving, cutting, grasping, suture passing, and knot tying. In many cases, special devices are used to anchor stitches into bone. Your surgeon will close your incisions with absorbable stitches and cover them with a large, soft bandage. After surgery, you will stay in the recovery room for 30 minutes before being transferred to the ward. Nurses will monitor your responsiveness and provide pain medication, if needed. You may be discharged on the same evening but in most cases will stay overnight depending on the extent of surgery. Your soft bandages will be replaced with waterproof plasters (Post-op Opsites) which may be removed after 7 days and the wounds left open. You may shower with these waterproof plasters on. Although recovery from arthroscopy is often faster than recovery from open surgery, it may still take weeks to months for your shoulder joint to completely recover. You can expect some pain and discomfort for at least a few weeks after surgery. If you have had a more extensive surgery, however, it may take several weeks to months before your pain subsides. Ice will help relieve pain and swelling. Your doctor will prescribe pain medicine and sleeping tablets if required. Although it does not affect how your shoulder heals, lying flat may pull on your shoulder and cause discomfort. Some patients are more comfortable sleeping in a reclining chair or propped up in bed during the first days after surgery. How do I get my function back? Rehabilitation plays a very important role in getting you back to your daily and sporting activities. An exercise program will help you regain shoulder strength and motion. Your surgeon will develop a rehabilitation plan based on the surgical procedures you required.If you have had a more complicated surgical repair, your surgeon may recommend a physical therapist to supervise your exercise program. It is important that you make a strong effort at rehabilitation in order for your surgery to succeed. 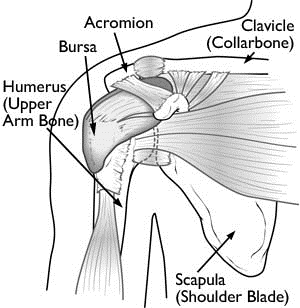 These are very rare and most patients do not experience complications from shoulder arthroscopy. As with any surgery, however, there are some risks. These are usually minor and treatable. Potential problems with arthroscopy include infection, excessive bleeding, blood clots, and damage to blood vessels or nerves. Dr van den Berg will discuss the possible complications with you before your operation. If you have had a minor repair, you may not need a sling and your strength may return after a short period of rehabilitation. You may be able to return to work or school within a few days of your procedure. It takes longer to recover from more complicated procedures. Although the incisions are small in arthroscopy, extensive damage within the joint can be repaired with the procedure. Full recovery may take several months. Although it can be a slow process, following your surgeon's guidelines and rehabilitation plan is vital to a successful outcome.